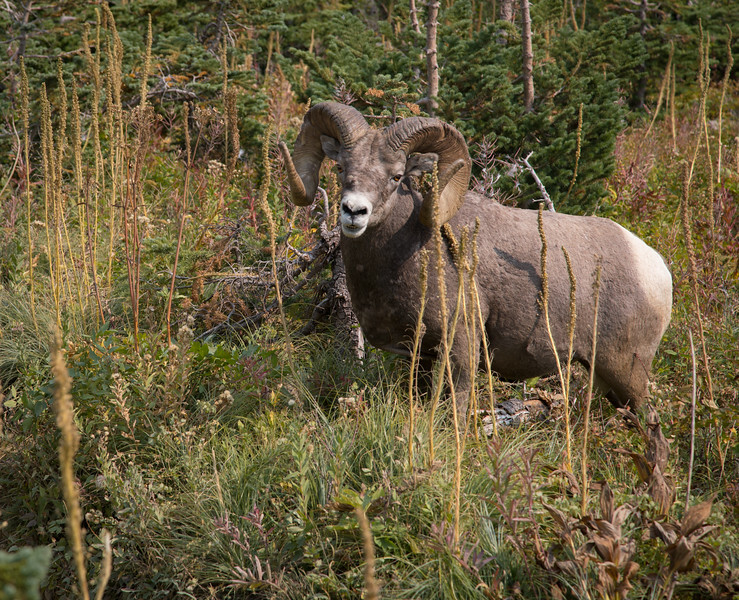 This is, by far, the largest big horn sheep I've ever seen. I am guessing his weight to be around 500 pounds. He started walking straight down the trail towards Bri and I, who quickly scrambled off the trail to get out of his way. He paused, bobbed his head a few times and scuffed his front foot in the dirt, before deciding not to challenge me to a mate. Only yards down the trail, we encountered two more males who were ramming heads. It was a bit unnerving while he was staring us down.